Official advertising materials have referred to Thailand as “mysterious and sensuous.” Thailand, also known as “The Land of Smiles,” features prominently in the new book “The Double Life of Alfred Buber,” by David Schmanmann. (Permanent Press, June, 2011). Buber is a highly-respected Boston attorney being urged to run for public office. But his true urges lie elsewhere. In a story that rings true given the political scandals of late, Schmanmann’s character, Buber tells everyone he is traveling to Paris for culinary tours and making cultural trips to Turkey, but he is secretly visiting the seedier parts of Bangkok, Thailand. In the book, Buber falls for a “bar girl” (a prostitute) he meets in a Bangkok nightclub. The bar girl Buber falls for is a nice girl in a bad situation. She seems to be a person of substance who cares for him. So Buber struggles. Buber wants to bring the girl back to Boston to be his wife, but is fearful of the reaction of his friends, colleagues and would-be political supporters, so he misses a huge opportunity for happiness. 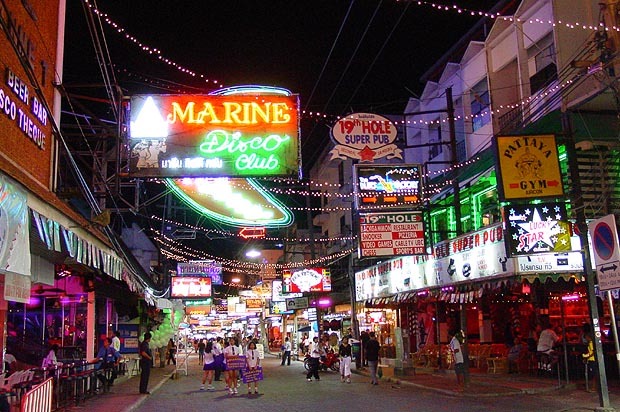 Thailand’s major cities and tourism regions, Bangkok, Hua Hin, Phuket and Pattaya, feature very affordable yet luxurious resort hotels, beaches, golf courses, shopping and entertainment. The destinations, also, and in a very open manner, present the type of adventurous nightlife which provides the exotic setting for the book.